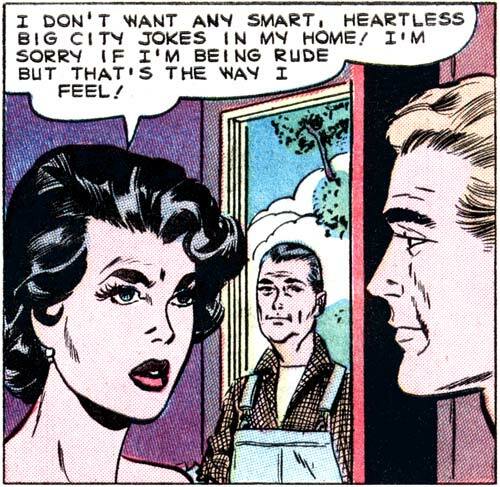 Art by Vince Colletta in the story “Lucky Liz” from FIRST KISS #9, 1959. She doesn’t allow any ‘big city jokes” inside. But what about that floating tree in the clouds outside? And what if he is the big city joke, or was that ‘jerk’?